There is an important debate unfolding in the pages of this magazine. I read it in your letters to the editor, in online social threads, and in the emails sent to me from readers far and wide. Broadly speaking, the debate involves our mission. Readers’ concerns vary, but they are generally tied to one of three things: our coverage of non-environmental or non-resource-related issues; our coverage of under-represented (or non-rural, non-white) communities; and our coverage of anything outside the Intermountain West. It’s a lively, and I think healthy, conversation, coming at a challenging time for journalism — amid a flurry of “fake news” and misinformation, mass layoffs and budget cuts, and growing threats to our democracy. Given all this, we need a magazine that makes sense of things. A lot of things. 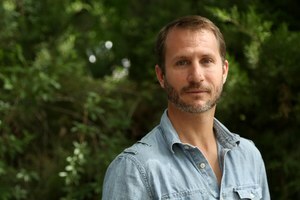 The mission of High Country News is “to inform and inspire people — through in-depth journalism — to act on behalf of the West’s diverse natural and human communities.” It’s a broad mission, but an important one, and it forces HCN’s editors to constantly ask two big questions: What, exactly, is the American West, and what does it mean to act on its behalf? We ask these questions over and over, and sometimes they lead us to unexpected answers and unexpected stories. We do this because no matter what you love about the West, this place has always been under threat from unethical forces — of greed, oppression, exploitation, or just plain carelessness. To counter these forces requires broad alliances of unlikely partners and a deep understanding of myriad issues. Climate change is tied to economic inequality, land conservation to environmental racism, energy to pollution, and on and on. The West is a vast web of competing values and interests, and we at High Country News seek to cover them all. We do this not from a sense of “political correctness,” as one letter-writer puts it in this issue, but because we believe our readers want to understand the West as a whole. 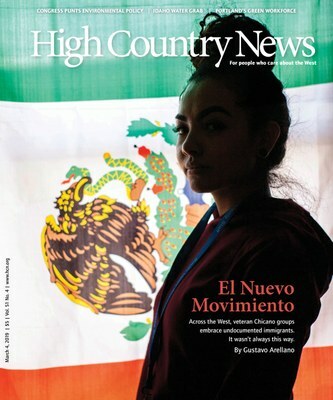 In this issue, for example, you will read about how Chicano movements are beginning to embrace immigration as an issue relevant to their cause. You will also read stories about a major public-lands bill just passed in Congress; a water grab in Idaho; a crackdown on humanitarian aid along the southern border; and a Portland neighborhood that is already adopting the principles of the Green New Deal. Meanwhile, in Pinal County, Arizona, climate change is forcing some tough agricultural choices. We also discuss why environmental victories don’t guarantee economic justice, and we explore the surprising challenges faced by women of color who simply want to mountain bike on public lands. I believe each of these stories is important, and I hope you’ll find them informative or inspiring. It’s up to all of us to act on behalf of the West — however you define it.